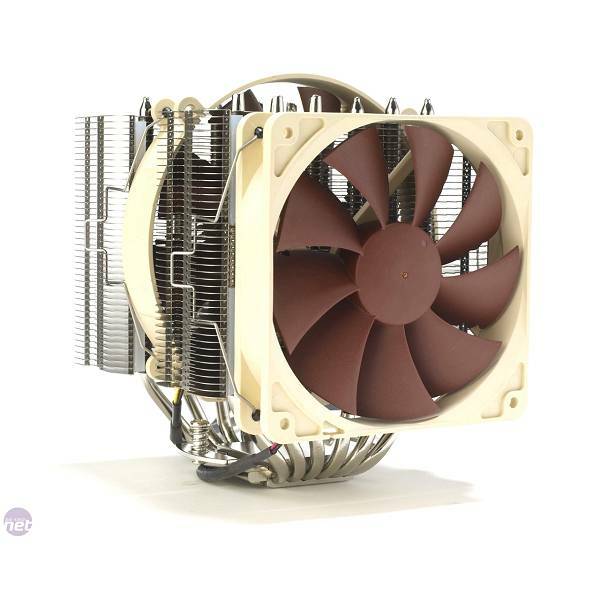 Hladnjak Noctua NH-D14, 120mm, 6 heatpipe, - Prodaja i Akcijska Cijena! Combining a massive six heatpipe dual radiator design with an exquisite NF-P14/NF-P12 dual fan configuration, the NH-D14 is built for ultimate quiet cooling performance. Topped off with a tube of Noctua’s award-winning NT-H1 thermal compound as well as the new SecuFirm2™ multi-socket mounting system, the NH-D14 is an elite choice for the highest demands in premium quality quiet cooling. Providing more surface area, better heat-distribution and superior airflow efficiency than conventional tower style heatsinks, the NH-D14’s six heatpipe dual radiator design was developed to provide ultimate quiet cooling performance in dual fan mode. 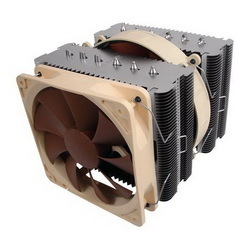 The NH-D14 sports a premium quality dual fan setup consisting of Noctua’s award-winning NF-P12 (120mm) and NF-P14 (140mm) fans, both of which feature Vortex-Control Notches, SCD technology and SSO-Bearings in order to achieve a perfect balance of performance and quietness. An asymmetrical design that gives more clearance towards the RAM slots ensures good compatibility despite of the cooler’s size. The NF-P12 fan can be moved upwards or left off in order to further improve compatibility. Hanging out at the bottom of the fin-stacks, the NF-P14 fan doesn’t only contribute to the NH-D14’s superb CPU cooling capabilities but also provides massive airflow over surrounding motherboard components and heatsinks, thus ensuring excellent component cooling performance. 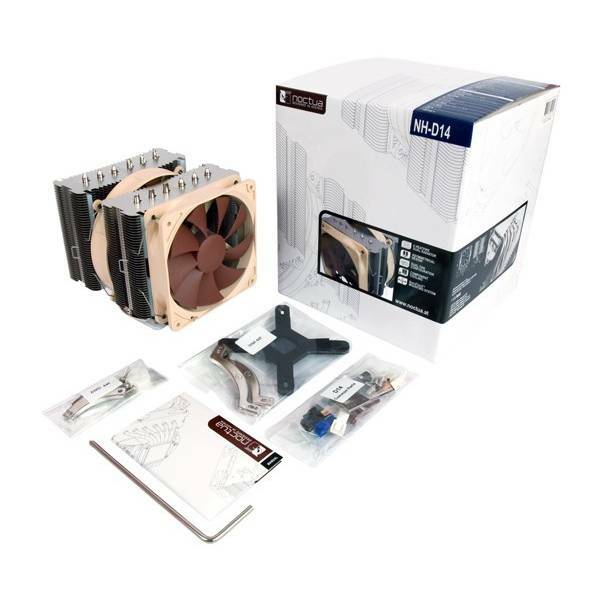 Noctua’s enthusiast grade SecuFirm2™ multi-socket mounting provides broad socket compatibility (LGA1366, LGA1156, LGA1155, LGA1150, LGA775, AM2, AM2+, AM3, AM3+, FM1, FM2) and meets the highest demands in safety, contact pressure and ease-of-use.